Modernizing the independent community bank to compete in today’s marketplace. Local banks and credit unions are becoming a rarity. Faced with increased competition from international banks and emerging online competitors, independent banks are fighting to stay relevant to existing and new customers while remaining competitive in an increasingly cutthroat marketplace. Most small- to mid-sized banking institutions don’t have the resources to reach out to and attract new customers. That’s where we come in. The Vx Group partners with independent community banks looking to grow top line revenue. Together we can maximize the value of your current relationships and add new customers. From sales program development & training to marketing modernization, digital sales solutions, lead generation and CRM implementation, the Vx Group has the expertise to modernize your bank’s brand, reach new customers and position your ﬁnancial institution on a path to growth. Let’s talk about how the Vx Group can drive top-line revenue growth for your business. 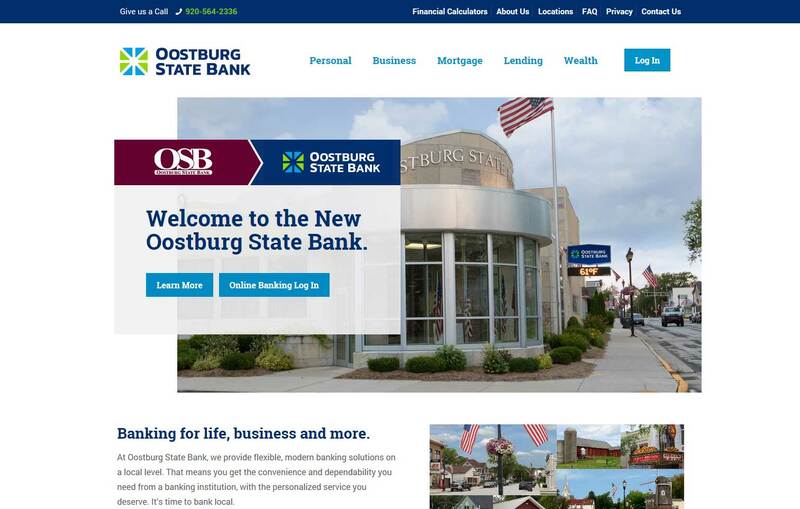 Despite the fact that Oostburg State Bank had been serving its customers since 1908, very few people outside of the small, Sheboygan County community knew of the banks existence. With a desire to remain ﬁercely independent and expand their customer base, the bank decided it was time to take action.